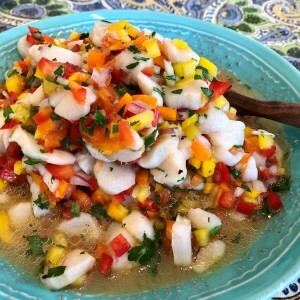 This is a cool refreshing salad for a hot summer day. 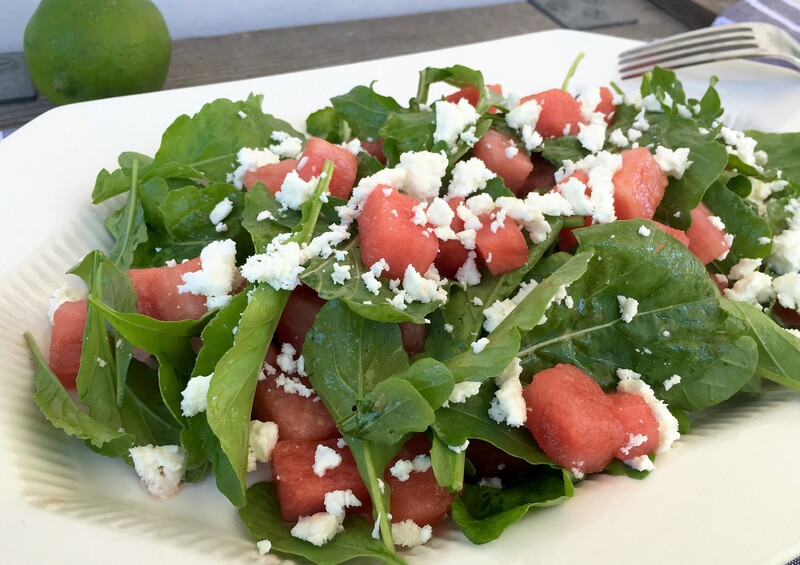 Sweet juicy watermelon, salty feta cheese and spicy arugula come together to create a flavor symphony for the taste buds that also happens to be visually appealing. While many recipes for this salad feature complex dressings made with many ingredients, I prefer a simple squeeze of fresh lime juice and drizzle of extra virgin olive oil so that the flavors of the main ingredients take center stage. Take care to cut the watermelon into smaller cubes rather than larger ones. Your salad will taste better. 1/2″ -3/4″ cubes are a good size. Spend a couple extra dollars to get a good quality feta cheese. It will make the difference between a good salad and a great salad. The best ones are usually made from goat or sheep cheese, or a combination of both. 1. Cut the watermelon into ¾” cubes and place into a large mixing bowl. 2. Crumble the Feta over the watermelon. 3. Drizzle with the oil and lime juice and sprinkle with the salt. 4. Add the arugula into the bowl with the watermelon. Gently mix. Taste and adjust seasonings to keep your palate happy.